Discover the gated, golf-cart community of Del Webb at Lake Oconee, an active adult community less than two hours from Atlanta. Choose from our collection of crafted ranch-style homes with open floor plans and thoughtful indoor and outdoor living spaces for entertaining. The only Del Webb in the nation with direct lake access, you can spend the day on the lake or inside at the Clubhouse for a wealth of planned community activities. 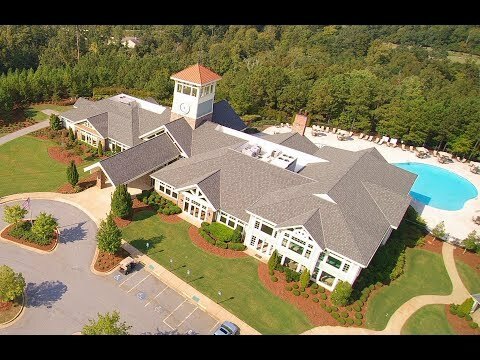 Explore Del Webb at Lake Oconee so you can see the beautiful community and resort-style amenities. We believe you’ll like it here. Hill Crest features an efficient open layout, with connected kitchen, dining, and gathering areas, bathed in natural light. A more traditional layout, Noir Coast has a well-defined kitchen with a view out toward the front of the single-story home. Steel Creek has a single-story open layout with a formal entryway and three different dining areas, including a breakfast nook. Taft Street lends itself to entertaining. Enjoy a covered porch, warm gathering room, cozy den, and kitchen with backyard views.